Chicago standup comedian Dave Maher was almost unplugged from life support during a monthlong diabetic coma. He was eulogized on Facebook. Then he woke up. Maher told this story on “This American Life”, and he has brought his narrative stand-up show about the experience, Dave Maher Coma Show, to venues across the U.S. and the Edinburgh Fringe. 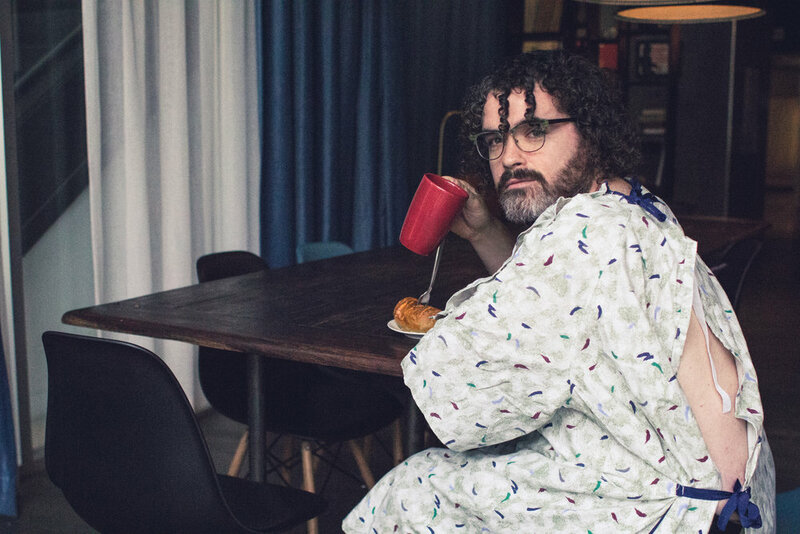 Dave Maher Coma Show explores the physical and existential discomfort of waking up in a new body with a second chance at life. With his trademark combination of mischief and sincerity, Dave asks questions about life, online death, and the cost of change. He provides no easy answers but plenty of hard laughs. This critically acclaimed one-man show sold out its initial run in Chicago, and the Kickstarter campaign to fund its Edinburgh Fringe run reached its goal in a week. You can book performances of Dave Maher Coma Show at your venue or organization. Click here for more information.